The founder of the afilii platform, Katja Runge, has launched “play it green! 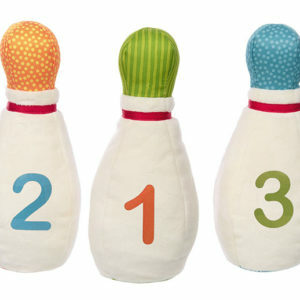 Parallel to Kind + Jugend, “play it green!” will take place from 20 to 21 September at the Design Post in Cologne. The Luna Journal Business Talk will be devoted to the topic “How to promote sustainable design for kids”. Founder Katja Runge talks to Luna Journal about her intention to bring sustainable design for children more into the public with the help of the project “play it green! What is the basic idea behind the “play it green!” project? With “play it green!” we want to create a space for encounters, sensitization and communication of a respectful and sustainable world of design for children. In the long term, we would like to bring sustainable design for children more into the public. And as a platform we want to support designers and manufacturers who are looking for new ways in the design and production of child-friendly, resource-saving and durable toys, home accessories and children’s furniture. Who is the target group of “play it green!”? With the exhibition, which will take place on Thursday, 20 September and Friday, 21 September at the Design Post Cologne and that will present 28 designers and manufacturers from eight countries, we are addressing international specialist dealers, interior designers, bloggers and journalists, designers & manufacturers, families, children and anyone interested in sustainable design for children to play with and live with. The founder Katja Runge, of the platform afilii – platform for child-friendly design & architecture has launched “play it green! Why do you consider sustainably manufactured products for children to be trend-setting? Not only as trend-setting, but as an absolute prerequisite for a careful contact with our children, our nature and our finite earth. What does the supporting programme consist of? From Spotlight – here we present five sustainable children’s book publishers from Germany and the lab – our experimental area. I am very pleased that this year, in addition to a design tour for families with children aged 6 and over by Design 18/12 from Cologne, we are also able to offer a design workshop for a an elementary school class, which is being organized by the foundation Deutsches Designmuseum. 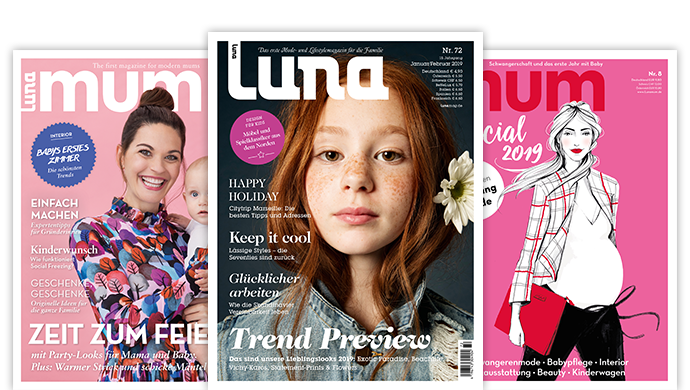 On Thursday evening we will invite interested parties to the Luna Journal Business Talk “How to promote sustainable design for kids” and on Friday to talks from designers to designers. What is so special about the “lab” area? lab stands for laboratoy – here we take the liberty to make experiments. This year we invited students from the Polytechnic University of Valencia/Spain to show their versatile play furniture for children. How do you explain the constantly growing interest in sustainable products on the part of consumers? I think it is logical that more and more people are interested in where & how and under what conditions their food, clothing and products are made for everyday life. But let’s be honest, sustainable products are unfortunately still a niche area in Germany, no matter whether it’s about food, fashion or sustainable products for children. What conditions must your exhibitors fulfil in order to be able to present your products in the context of “play it green! Which well-known brands will be represented? We have formulated a catalog of criteria and ask all participating designers and manufacturers which they meet with regard to material, social responsibility, place of manufacture and environmental awareness. It is also important to us whether a product has received independent awards, such as the renowned spiel gut. We also publish the criteria that the products meet at the exhibition. We are delighted that these well-known brands, among others, are exhibiting at “play it green! Cuboro from Switzerland, Müller Möbelwerkstätten and pure position from Germany and ooh noo from Slovenia. What is the “play it green!” award all about? Which brands were nominated for the award? Which experts make up the jury? With the “play it green! award”, we are honoring an initiative that is dedicated to future-oriented socio-ecological change in the world for children. We will present the “play it green! award” on Thursday evening, 6.30 p.m. shortly before the Luna Journal Business Talk. Visitors are very welcome. Jury members this year are Uli Morant, editor-in-chief of Luna media, Alain Pineau of Pineau le Porcher, France, Thorsten Grossmann of green your life, Alex Dill of KIT – Karlsruhe Institute of Technology, Faculty for architecture and me, as founder of afilii – platform for child-friendly design & Architecture. For the first time, the Luna Journal Business Talk will take place at the Design Post with the topic “How to promote sustainable design for kids”. What is the intention behind it? Which guest speakers are expected? With the Luna Journal Business Talk on Thursday, 20 September from 6.30 p.m., we would like to sensitize, inspire and stimulate visitors to the topic of “sustainable design”. It would be nice if visitors could take home with them a thought that will resonate in the coming days and weeks. As guests we expect on the podium Florian Henneka from Korbmayer, Sanna Puhakainen by Lumokids from Finland, Peter Handstein of Senger Naturwelt and Alain de Rauw of Plantoys from Thailand. And we are looking forward to the presentation of Fenke Gabriel-Schwan from Luna media. What expectations do you have for the upcoming edition of “play it green!? I very much hope that in the coming years we will be able to expand & consolidate the concept and program of “play it green!”; that we will find international partners who are also committed to making sustainable products for children in the future – toys, home accessories and children’s furniture that take both our children and our environment seriously.